If participating in democracy and having your say about the direction this province is heading in isn’t quite enough to get you out to the polls, you may just have another incentive for filling out that ballot this month. 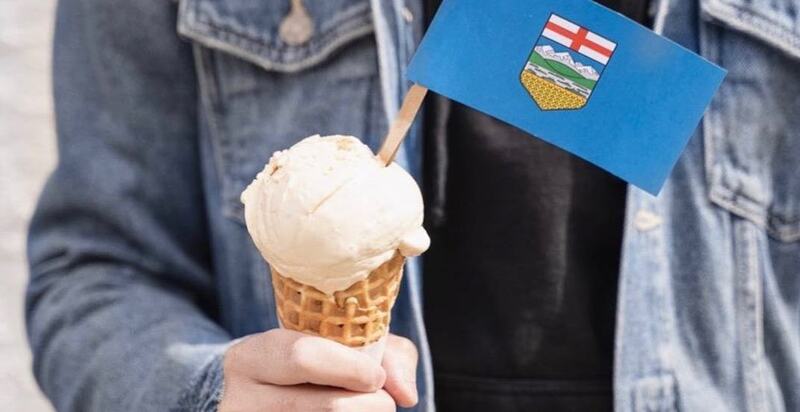 Much-loved local purveyors of cold sweet treats Village Ice Cream is offering patriotic individuals a FREE kids-sized scoop in a handmade waffle cone after they vote in the Alberta Provincial Elections. After you get your vote on, just snap a selfie outside your voting station and head to your nearest Village Ice Cream location to grab that scoop. This deal is only valid on April 16, the official provincial election date.